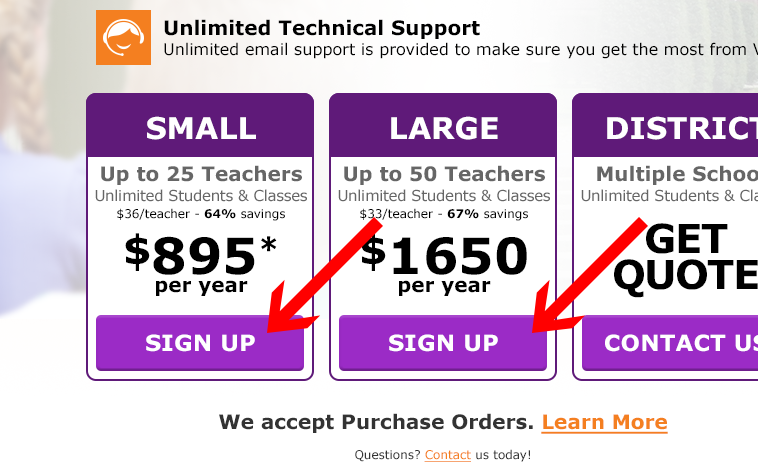 Visit www.voki.com/site/pricingschool and choose between a SMALL and LARGE school license. Enter your school's information into the provided fields. Once complete, click PROCEED TO CHECKOUT (Note: Your account will be set for activation on the date you specify, but only after check or PO is received ). 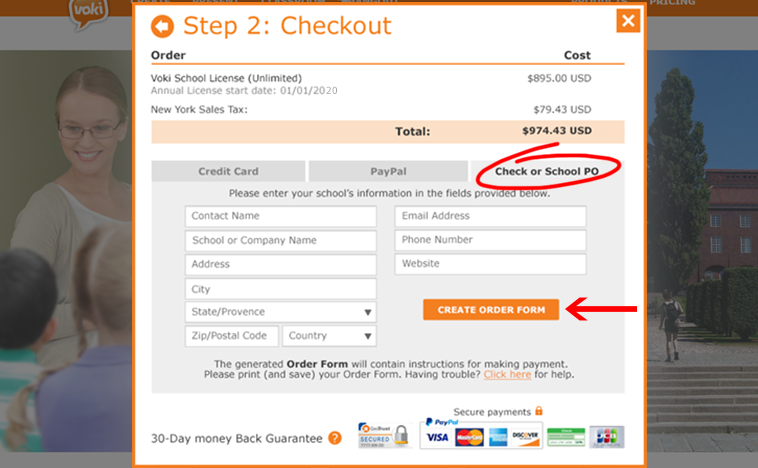 On the checkout page, select the tab for Check or School PO as your preferred payment method. 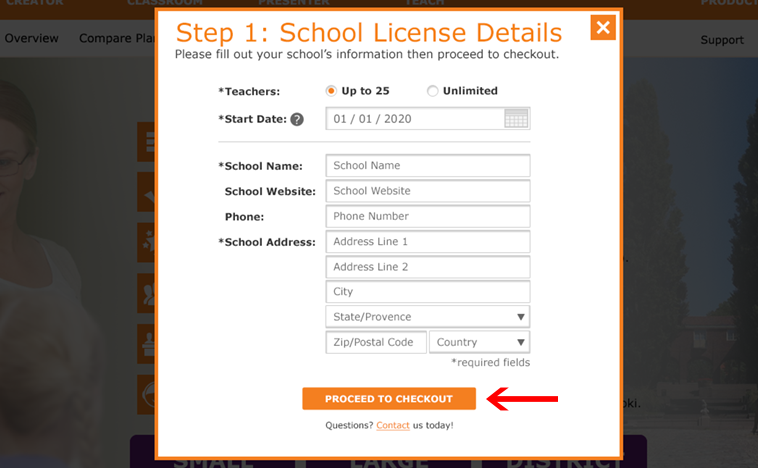 Enter your school's information into the provided fields. When you are done, click the CREATE ORDER FORM button. An order form will be automatically generated with your provided information. Confirm the information provided on the form is correct then proceed to print your ORDER FORM by clicking the PRINT button (we also recommend saving to your computer). 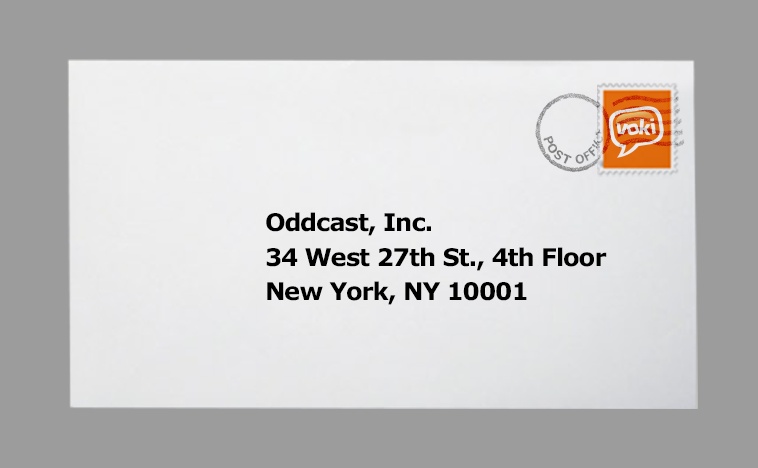 Attach your Check or School PO to your printed ORDER FORM and send by mail to the address provided below. 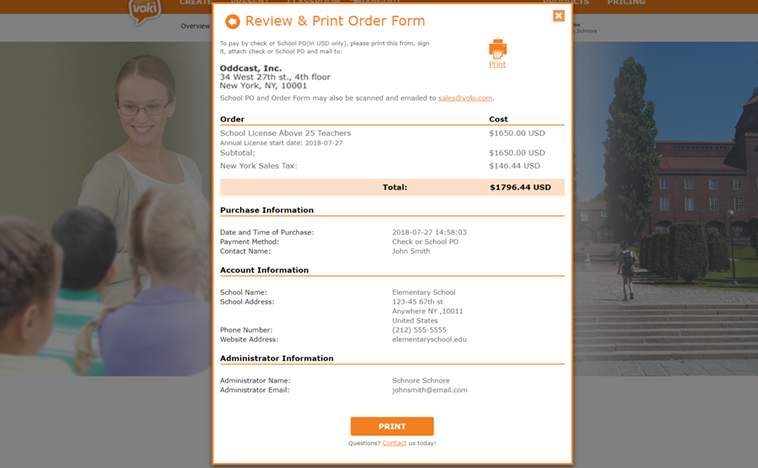 School POs can also be sent digitally. Just email your School PO along with your Order Form to sales@voki.com. Please include School PO in the subject line. Additional questions? Send an email to sales@voki.com and we will get back to you right away!